Of course, people’s reasons, motivation and drive to get back to a goal weight and healthier lifestyle varies greatly. There is NO “right” or “wrong” answer either. Actually, the “right” answer is completely individualized. THE right “WHY” for you is likely different than that of your friend, co-worker, sibling or spouse. You are unique! Your motivating and meaningful “why” comes down to what’s truly important to you and how a different weight and/or level of health would improve your life. So many people want to lose weight because they want their life to be better in some way. People realize that being overweight or obese directly affects things like their self-image, their health, their relationships, their work, their activities with loved ones, their finances and even their freedom in some ways. They know life COULD be better when it comes to these things. People WANT a better life when it comes to their weight and their health. They WISH for it. They HOPE for it. But, so many times it never happens. We believe the reason for that comes down to a clear and simple (but typically very challenging) missing component. It can be summarized by a statement made by the late Jim Rohn, who was an ultra-successful personal growth coach, speaker and author. Wow! That is so accurate, simple and true! 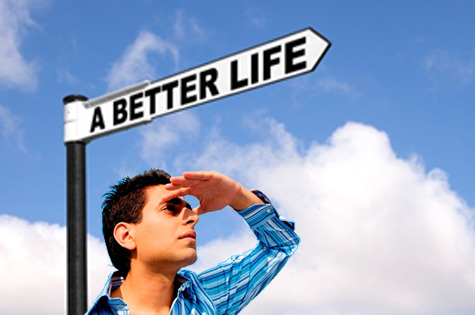 Pay close attention to that: Our life does not get better by CHANCE. It gets better by CHANGE! Being a healthier version of our self and living a better life does not happen by merely hoping, wishing and wanting for it. Change your VIEW of food. Change your BELIEF of what’s possible. Change the PEOPLE you hang around. Change your weight loss STRATEGY. Change the way you WAKE UP. Change the way you ORDER food. Change your way of LIVING. We could go one and on. You need not change all of this all at once. But, SOME thing must change. Start with SOME thing. Getting back to a healthy, desired weight and a healthier YOU will simply not happen by accident. Other things have to change before your bathroom scale changes. Need help making some change? Our strategic approach using science and clinical support may be just the CHANGE you need. Don’t leave your better life to chance. Your better life is just a click or a call away!